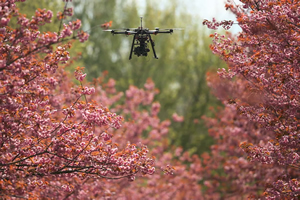 April Glaser for Recode: If you buy a new drone in the U.S. to fly non-commercially, you no longer have to register your drone with the Federal Aviation Administration, according to a decision issued today by a federal court in Washington, D.C. The court ruled that the FAA’s drone registration rules, which have been in place since 2015, were in violation of a law passed by Congress in 2012. That law, the FAA Modernization and Reform Act, prohibited the FAA from passing any rules on the operation of model aircraft — in other words, rules that restrict how non-commercial hobbyist drone operators fly. Now, if a person buys a new drone to fly for fun, they no longer have to register that aircraft with the FAA. But if flying for commercial purposes, drone buyers still need to register.